Jake Overman strives to make his community a better place. Jake is actively involved with the United Way organization. Jake is both a member of the campaign cabinet for the local St. Cloud United Way, and a supporter of the Imagination Library supporting central Minnesota. As a member of the campaign cabinet, Jake reaches out to local business leaders regarding United Way's annual fundraising campaign to thank them for their previous gifting and to help provide new ideas to keep campaign drives fresh. They also strategize with staff and key cabinet members to determine the best possible solicitation methods for leadership gifts, suggest names of companies and contacts to add to the list, and to be an advocate for United Way events and activities. Included in that is the support of the Imagination Library. Jake attends the annual Progressive Dinner charity event with his wife Trista who has been on the event committee for the past few years, and is now a co-chair for 2019. Jake and Trista are passionate about supporting the local Imagination Library as it is a nonprofit organization that promotes childhood literacy by providing free books to young children in the community. Jake also currently serves on the board of the Saint Cloud Country Club. Jake is expected to serve on the board from 2017-2020 as a voting member; to develop policies, procedures and regulations for the operation of the Club; to monitor finances of the organization, it's programs and performance. He also serves on the social committee for the Saint Cloud Country Club in coordination with his board position. In the past, he was a youth basketball coach with the Saint Cloud Area Youth Basketball Association from 2008-2013. He coached kids to improve their basketball skills, while at the same time focusing on building their overall confidence while having fun. In addition, Jake Overman was involved in starting up the Central Minnesota chapter of the College of Saint Benedict and Saint John's University Alum group. Jake has also contributed to the Saint John's University Annual Fund and to their athletic programs. In support of his wife Trista, who has been the President and Treasurer of the local non-profit chapter, Jake supports the Saint Cloud MOMS Club®. The Saint Cloud MOMS Club® has a goal of supporting women in children in the community. They do this through annual fundraisers that Jake has been contributing to since 2015. These fundraisers have raised funds to support a child battling cancer, the Crisis Nursery of Saint Cloud, the Jacob Wetterling Foundation, the Nicholas P. Koenig Foundation, District 742 Early Childhood Program, Stride Academy, FACT, and Anna Marie's. Jake Overman gives financial contributions to various charities periodically, and regularly gives to the Columns Resource Group Foundation - a foundation dedicated to helping the community around it. The CRG Foundation has given to Bridging Inc, the Courage Center, Baby's Space, Big Brothers Big Sisters, Leukemia and Lymphoma Society, and Alex's Lemonade Stand, among others. Jake's favorite event is the annual golf tournament he sponsors in coordination with Northwestern Mutual and Alex's Lemonade Stand to fight pediatric cancer and benefit children in his own community. The organizations that have benefited from this amazing day of fundraising in years past include Make-A-Wish, Tanner's Team, and the Nicholas P. Koenig H.E.R.O. Foundation. 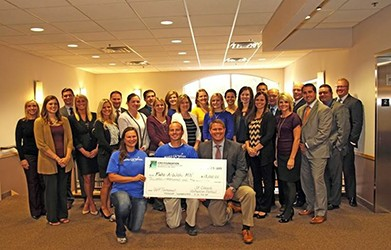 Since the tournament's inception in 2014, more than $105,000 has been raised by the Saint Cloud office for organizations that focus on pediatric medical needs. 2018: Northwestern Mutual – Saint Cloud raised funds at their 5th annual Chip for Charity golf tournament with proceeds going to Tanner’s Team, ACS, and the Nicholas P. Koenig Hero Foundation. 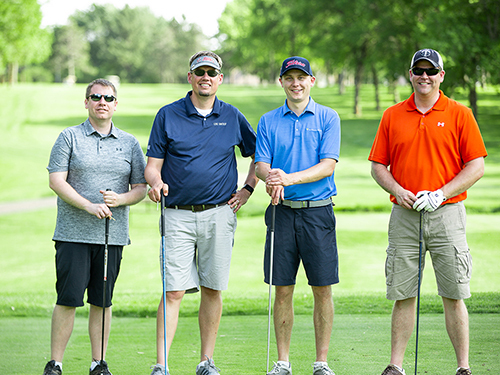 2017: Northwestern Mutual - Saint Cloud raised $40,000 at their 4th annual Chip for Charity golf tournament. Of the $40,000 raised, $20,000 of support will be given to both to Alex's Lemonade Stand and the Nicholas P. Koenig H.E.R.O. Foundation. 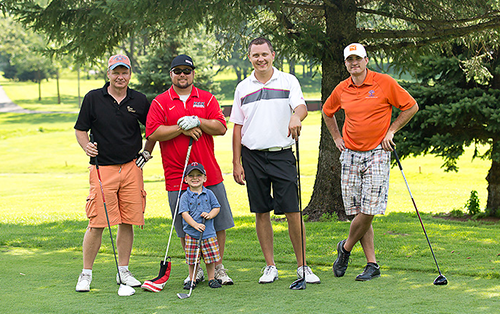 2016: Northwestern Mutual - Saint Cloud raised $30,000 at the 34d annual Chip for Charity golf tournament in support of Tanner's Team Foundation. 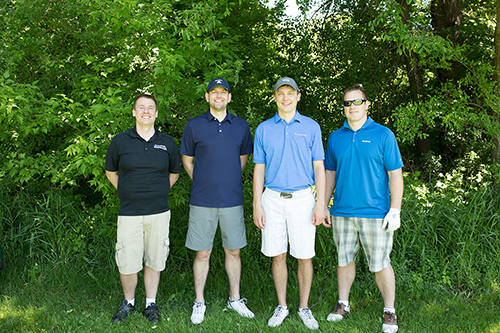 2015: Northwestern Mutual - Saint Cloud raised $20,000 at the 2nd annual golf tournament in support of Make-A-Wish Minnesota and the American Cancer Society. Of the $20,000 raised, $13,000 was donated to Make-A-Wish Minnesota and $7,000 was donated to the American Cancer Society to be used for pediatric cancer research.